The clarity of a headline or title plays a critical role in whether your content is ever seen and read by your customers. As the battle for eyeballs continues to escalate, digital media providers seem to be resorting more and more to “clickbait” titles and headlines. However, as with all forms of overused marketing, consumers soon learn to tune it out and develop negative reactions to any headlines that feature these worn-out tactics. Digital media companies Outbrain and Hubspot have leveraged their significant data resources to create a research-driven e-book on effective heading and title writing, providing guidance based on user reactions to specific words and even the number of words in your headline. There is the famous anecdote about marketing pioneer David Ogilvy and the three weeks he spent to create the following headline: “at 60 miles per hour, the loudest noise in this new Rolls Royce comes from the electric clock.” If you assume he only worked 5 days a week, that averages to almost a day per word spent on developing this slogan. We live in a different world and with much different expectations, but Ogilvy can teach us a lot even today about the power of words and headlines. Shocking Celebrity Secrets You’ll Never Believe! The One Skin Secret That Will Change Your Life! Do You Have a Rare Illness, Take This Quiz Now! Although federal agencies do not typically cover celebrity gossip, the importance of avoiding cliche and gimmicky phrases is just as critical. Clickbait headlines can undermine the credibility of agencies that already face strict public scrutiny. The clickbait style is also unlikely to fit the tone you’ve established for your agency’s content. Personally, I’ve developed fatigue for headlines that rely on numbers (7 Ways to Improve Your Content, for example) despite their continued popularity. Previously, the Peace Corps found that their most popular content was “Top #” articles, such as The 5 Things I Wish I had Known Before Joining Peace Corps. Outbrain/HubSpot report doesn’t directly address the efficacy of specific numbers in your headlines, but it does make it clear that specifics are important. One of the most important specifics is “bracketed clarification” to help your user have a clear idea what to expect when they click on the link. Posts that included clarifications like [Infographic] or [Video] were found to perform 38% better. And while not specifically in brackets, including the word “photo(s)” improved headline performance by 37%, combining the user’s desire for clarification and the popularity of visual content. 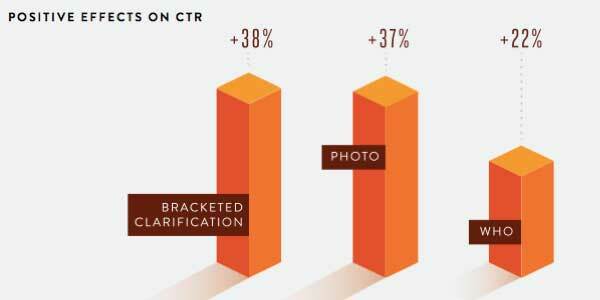 In a clear demonstration of the effectiveness of different words, the report showed that using the term “who” improved the click-thru rate (CTR) by 22%, but the word “why” decreased clicks by 37%. Who knew? As clickbait practices grow and evolve over time, the number of words with negative impacts on CTRs will change, but the more “gimmicky” the term, the more negative the response. 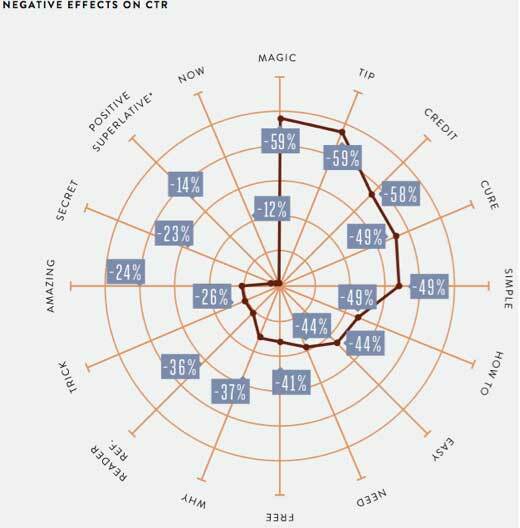 For example: “magic” was the most harmful term, along with “tip” and “credit,” all of which have now been used to the point that they have a negative connotation in a majority of the public’s mind. In a clear sign of content marketing overload, terms such as “how to”, “simple”, “easy” and “free” all also decrease CTR by at least 41%. So while what you are offering may indeed be a simple and easy way to show your customer how to do something, be careful using these terms. Rely less on marketing terms and be straight-forward and clear in your headline text. Just as with content in general, it all comes back to honesty, clarity, and quality. Another takeaway from the report that might get overlooked in the heat of the creative process is the importance of developing a title or headline that is tailored for easy social media sharing—especially for Twitter. Be sure the title length is sufficiently under 140 characters to make retweeting effortless for anyone who wishes to share your content. Headline length is also important for search engines: 65 characters is the threshold, and your headline will be shortened if you have more. This requirement and the finding that readers absorb a headline’s first three and last three words only gives you additional incentive to focus on the critical information your headline needs to convey to a customer. 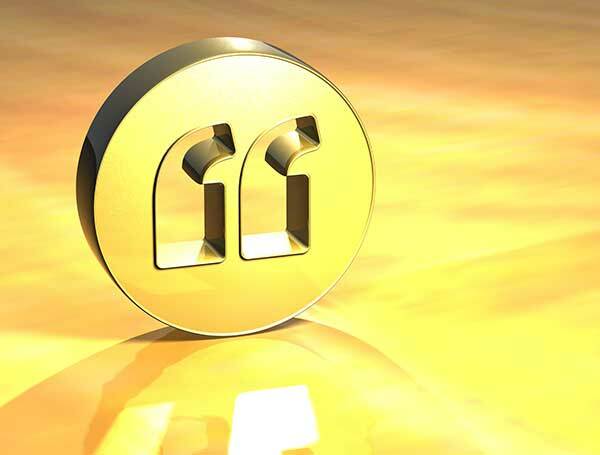 As an exercise, think of ways to sum up a 1,500 word blog post with six words; this can also have a reverse benefit and help improve the focus of the post or content itself. Headline writing has become a serious topic, especially among content marketers, and continues to spawn headlines that border on clickbait themselves (5 Easy Tricks to Write Catchy Headlines). As with most things, there is no simple answer. The one thing that is not in question is the power of the headline and whether or not a customer thinks there is value enough to engage with a piece of your content. Your headlines or content titles are like the cover of a book or magazine: will they encourage a user to pick it up? The report from Outbrain and Hubspot, along with the various Copyblogger pieces and other links I have referenced here, should all be seen as guides. I would even use the Ultimate Headline Formula with caution. Test, experiment, and find what works for your agency’s content. Pay attention to your analytics and to how you structure your headlines until you find a happy medium of length and effectiveness. I’m still trying to find mine here at DigitalGov (this article had four previous titles!) so let’s keep learning together.You’ve just finished reading the latest article from our Monday column, The Content Corner. This column focuses on helping solve the main content issues facing federal digital professionals, including producing enough content and making that content engaging.